SHOKO NAKAZAWA Mini exhibition “WALK” starts this weekend and one little chap will make its debut! 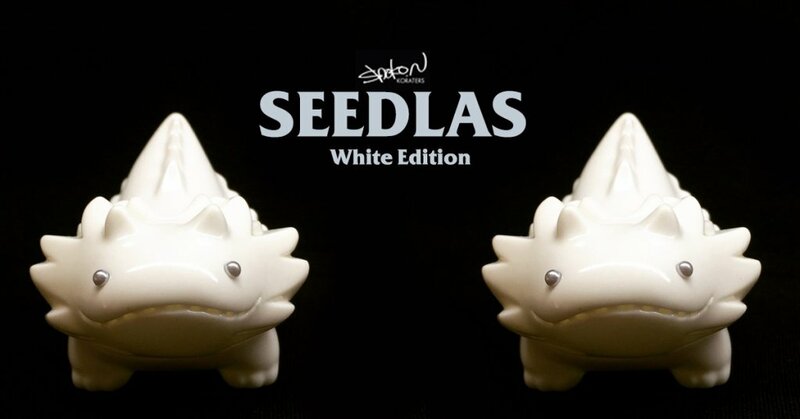 “SEEDLAS” White Edition Protoype will be on show alongside many other soft vinyl figures as well as one of a kind art from Shoko. SEEDLAS so darn cute! Standing on all 4’s at 5cm and as long as Gary’s tinker at 7.5cm, HA. Pre-evolution of Shoko’s lovable and highly sort after Byron. SEEDLAS already causing collectors to hyperventilate in the anticipation of the release ofSEEDLAS. No news of when SEEDLAS will be for sale or an online release, but Shoko did mention SEEDLAS will be released in the very near future, stay tuned for further announcements.